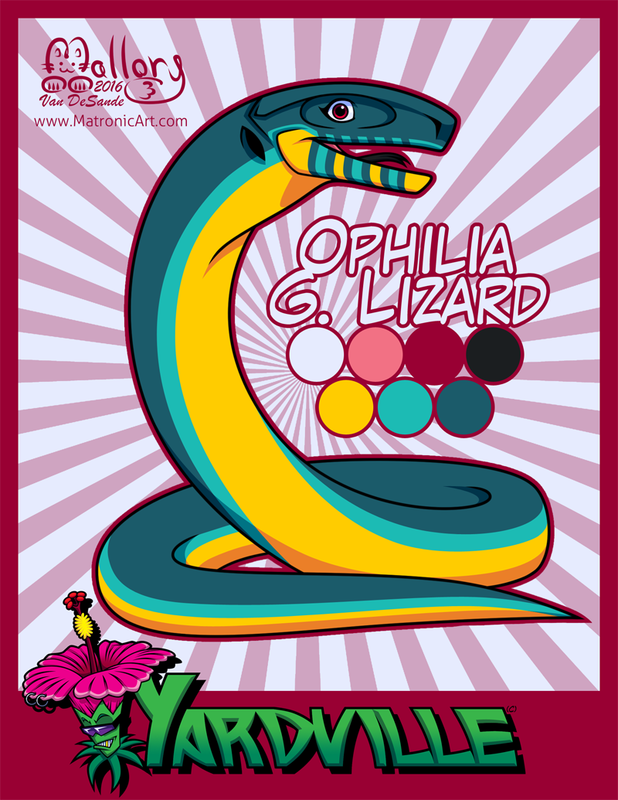 Character design and color pick ref for Ophilia G. Lizard (the "G" stands for "Glass"). She's the smallest and sweetest of the Yardville female critters. All characters of Yardville are legitimately (C) to me.